Farewell Harbour Lodge offers a variety of programs to suit all interests, abilities and ages. We cater to individuals, couples or families and happily accommodate children aged 10 and up. We follow the rhythms of this place to offer you the best experience possible at the best times. 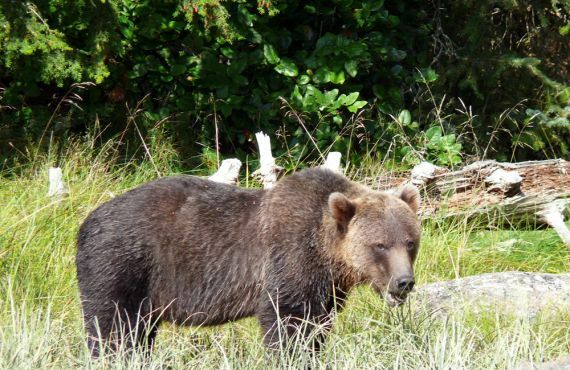 We specialize in wildlife packages offering three to five night packages in search of charismatic mammals such as Orca, Humpback Whales or Grizzly. We also have a fleet of state-of-the-art stable, tandem sea kayaks for those who wish to stretch their muscles and try some self-propelled adventure in the crystalline, calm waters around the lodge. We also have specially trained staff on our team who can introduce you to the wonders of Shinrin-Yoku which translates from Japanese to 'forest bathing' or 'breathing the forest air'. Shinrin-Yoku was developed in Japan in the 1980s and has slowly spread to North America. At its core, Shinrin-Yoku is a method involving guided forest walks to enliven all of your senses and deepen a connection with the rhythms of nature and of the beautiful forest around us. We offer Shinrin-Yoku as an included option on our wildlife packages or as stand-alone packages for those simply wishing to slow the pace and reconnect with the natural world. For those looking to up the adventure quotient, consider one of our heli-hiking adventures. Wing away to some of the most jaw-dropping scenery on the planet - on guided mountain ridge walks on the mountain ranges that surround us or to some of the most remote beaches on the BC coast. Available for all levels and abilities, these experiences are simply out of this world. As a setting for group retreats, Farewell Harbour Lodge is outstanding for its ease of access, magnificent private 10 acre forest, ocean-side setting and boundless opportunities to engage not just your mind but all of your senses. Our group retreats are perfect for large family reunions, a simple gathering of old friends or a corporate team building/leadership exercise. If you are looking to up your game professionally consider bringing your executive or board team to Farewell Harbour for some simple relaxation and recreation or dive deeper into leadership and team-building. Farewell Harbour Lodge is partnered with an exclusive and highly experienced team of dedicated professional leadership and team-building consultants. 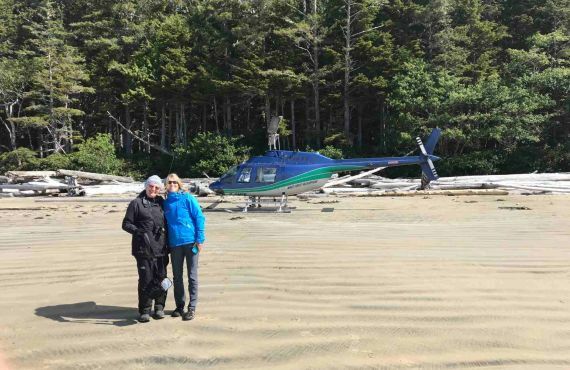 Book out the entire 12 room lodge and enjoy the very best that the Broughton Archipelago has to offer- with our expert staff at your service along with our fleet of boats and equipment.